Things are about to get a whole lot festive as our favorite fashion glossies start unveiling their December issues. 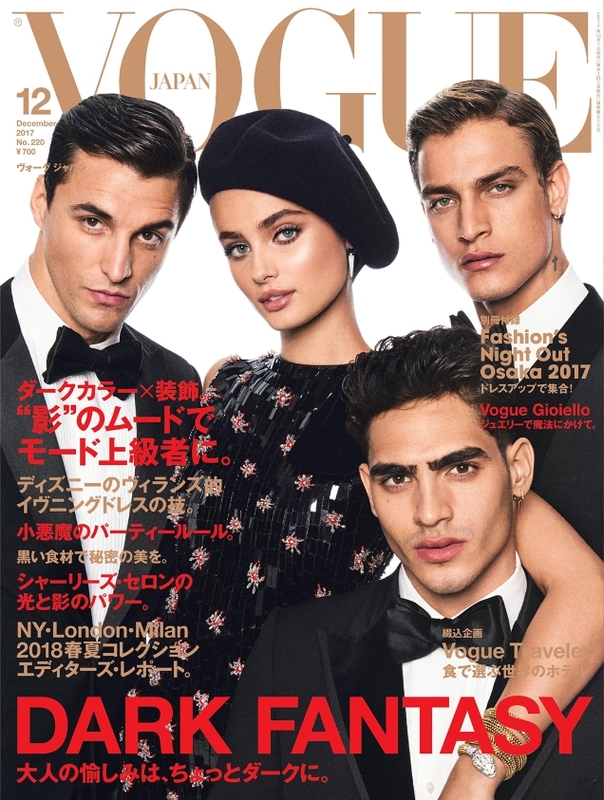 Like clockwork, Vogue Japan is the first to flaunt its cover for the month ahead and closes out 2017 with a little glamour and sophistication. Taylor Hill makes her fifth Vogue cover appearance alongside a handful of male models, evoking a cheery holiday get-together. Photographed by Giampaolo Sgura, the group huddles together with stylist Anna Dello Russo selecting a glitzy and embellished Giorgio Armani number for Taylor to wear. Members of our forums actually liked what they saw. “A must-have! Gorgeous casting and a gorgeous cover,” complemented TeeVanity upon checking out the cover. “I love the festive vibe,” admired lightblue. “I like it. It’s festive and the two guys on the top are definitely the eye candies,” fluxxx echoed. “When the title didn’t mention any names, I prepared myself for the worst but this actually looks good! Taylor looks chic! I would’ve done it without the men, to be honest, but I’m not complaining,” voiced forum member MON. Kokobombon felt the same way. “I like it, it’s not groundbreaking but I like the polished look on Taylor and the two guys standing next to her. I don’t like how the third boy is ruining the composition,” she pointed out. “I think it’s actually quite elegant. However, I am keen for Vogue Japan to go back to their classic covers again, the group shot thing is getting old fast,” stated magsaddict. Check out Taylor’s accompanying cover story for the issue and add your own two cents here.